How to organise time off with as little hassle as possible. 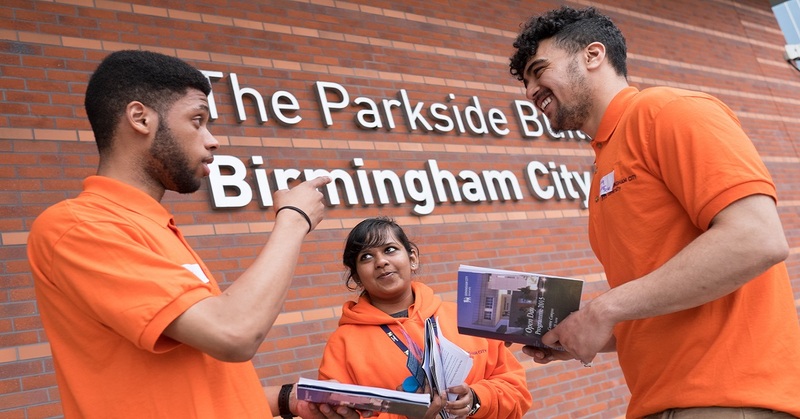 Open Days are great for getting a feel for the university and the city, and have the chance to chat to your potential future lecturers and fellow students. So, don’t despair. Failing cloning yourself or creating a you-shaped hologram, here’s some great tips to help you manage your Saturday job and Open Days! As tempting as it may be, we wouldn’t recommend you pull a sickie. If your boss finds out where you are and that you lied, you’re at risk of damaging your relationship with them, or worse, losing your job full stop. Loads of our students have part-time jobs that keep them going through uni, so it’s important to keep your boss on side. This is handy just in case you need some emergency shifts over summer to cover festival tickets, or even a transfer to a local branch (if that’s an option) so you can continue working through term-time. Ask your colleagues nicely if they would cover your shift for you so you can present a solution to your boss instead of a problem – "I can’t work on Saturday, but Bob can!" This means your manager won’t need to worry about understaffing and leaves you free to spend your Saturday at our Open Day instead. It also makes you look responsible, practical and trustworthy: win win! Why not suggest working a different day in order to cover your hours? Or even split your shift so you can come along to the Open Day for part of the day. This would work especially well if you work in Birmingham city centre already. It’s the best of both worlds and would give you an indication as to whether you’d want to come back for a more in-depth visit, too. After you’ve applied you will be invited to Applicant Taster Days, which are like Open Days but more tailored to your course and a bit more in depth. These take place on Wednesdays as well as Saturdays so give you another chance to attend.